The angular fitch is good for awning work. 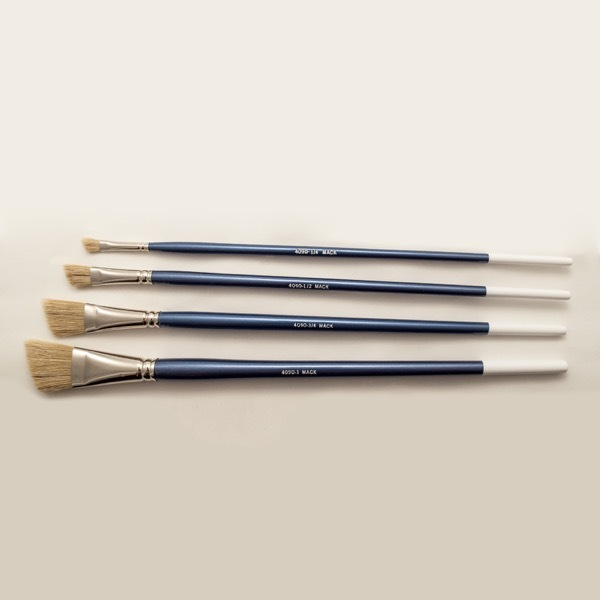 Sign painters also find it easier to use an angular brush when working on a wall or upright surface. It is good for outdoor work (awnings, walls, bulletins and rough surfaces). This brush is not chiseled. There is no advantage to chisel an angular liner, since most sign painters want an even down stroke.